Rhinoplasty is probably is most popular among plastic surgery procedures – especially among the well –known people in our society – I mean the celebrities. Almost every celebrity has given it a try. It is almost like if you don’t get your nose re-shaped, you cannot survive in the glamour industry. For some of them, it turned out to be a blessing and indeed helped raise their career graph. For a few unfortunates, a nose job became their worst nightmare. Two things could have happened in this case of botched Rhinoplasty – a bad plastic surgeon or a plastic surgery addiction. Some stars never learn the lesson and is ready to go under the knife, several times to shape, shave and flatten their nose. 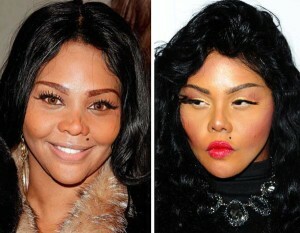 And these are usually the ones that end up as bad plastic surgery example. Take a look at the top 10 worst celebrity nose job disasters. 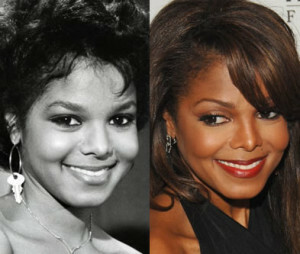 We don’t even want mention Micheal Jackson here – that’s plastic surgery disaster on higher leve. So filling in for the Jackson family is his sister, La Toya. Looks like the Jacksons had a tough time accepting their natural looks. 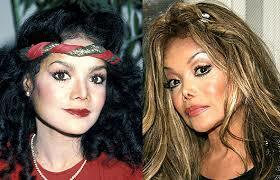 La Toya has not only messed up her nose, but had a plastic surgeon go crazy on her whole face. Lil Kim’s nose looks like it is made of play dough and someone has pinched it up roughly. Well, that someone ought to be a bad plastic surgeon, though her shape is still skin and bones. So Kim had two nose jobs – the first one was messed up big time and then she decided to set it straight, eventually distorting her natural nose beyond repair. Sometime in the 1900s Joana decided to add character to her looks and guess what her new look turned out to be a joke bigger than her on stage comedy. The former stand-up comedian has had innumerable plastic surgery procedures and ain’t afraid to talk about it. That bad nose job couple with bee-stung lips gives her cartoonish image. Joining sister La Toya on the list is slightly more famous sibling Janet Jackson – the crime is similar though – A botched nose job! Looks like bro Micheal has been an inspiration for both the sister when it came to Rhinoplasty. Janet also sports a shaved-pinched nose that looks weirdly fake. It is hard to deny that Catherin’s natural nose looked way better than that pointy thing she carries around now. Okay, her fake nose does look better than most others on this list, but we like the old one. 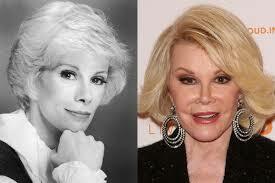 The poor thing almost lost her career because of a botched nose job. It is quite well known that Grey’s rhinoplasty left her unrecognizable even to frinds and family – all for removing a little bump on her nose. This Italian never fails to make a spot in the worst plastic surgery lists. 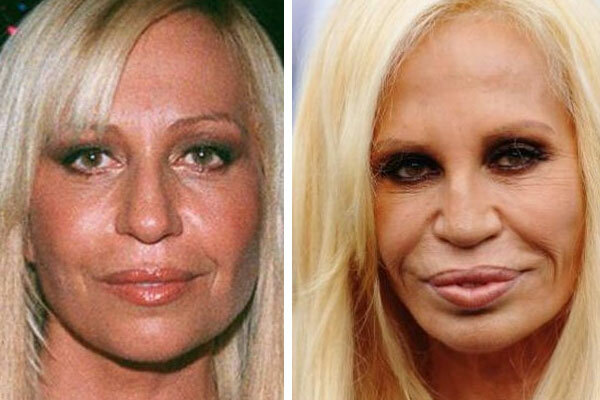 Donatella’s original nose was perfect for her (then) face. Now, it looks like there is scar tissue on the bridge of her nose. A bad nose job – a very bad one. Probably she should sue her plastic surgeon for what he has done to her face. This one is also a total plastic surgery disaster package and that horribly large nose accompanied by pouty lips is just one of the things that have gone wrong. We use Bluehost.com for our hosting. We have also done a lot of wordpress speed optimization. Like us on Facebook on the right side of the page for updates on the site!